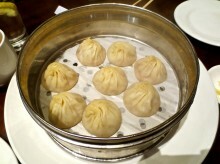 Just across from Yang’s new location in the new mall on Wujiang Street is another place that serves up xiaolongbao (soup dumplings). 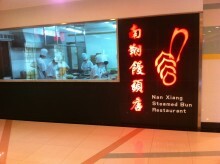 It’s called Nan Xiang Steamed Bun Restaurant and cooks them up in the original steamed way. 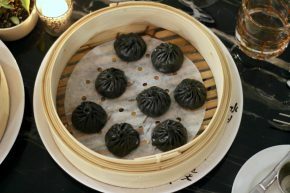 Nan Xiang is actually the part of Shanghai where xiaolongbao originated and you can still find the original in its location near the Yu Garden, but the line is always crazy-long, so when I saw the Nan Xiang restaurant right next to Yang’s, I figured I would give them a taste. Always a line. Always pink. Once upon a time, there was a street called Wujiang in Shanghai just outside the Nanjing West Subway Station. 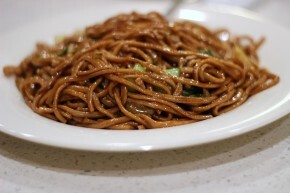 At all hours of the day, the street was lined with food vendors and inside the old buildings were delicious, old-school Chinese restaurants. 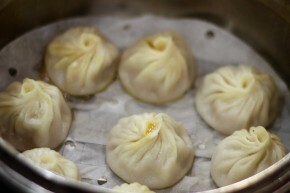 On that street was a hole in the wall called Yang’s Fried-Dumpling, which served a delicious xiaolongbao (pronounced shiao-long-bow) with the special twist that it was fried (as opposed to the traditional steaming method). 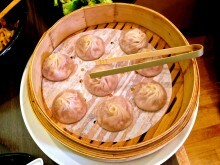 Xiaolongbao is one of Shanghai’s signature dishes, a dumpling stuffed with pork that creates a soup inside when cooked. The dumpling is sealed air-tight so the soup stays inside until it is eaten. 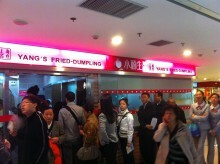 Even though Yang’s went against tradition by frying their dumplings, there was always a line outside their door.